Good morning. I hope you had a good week. I was away for a few days attending my father-in-law's funeral, unfortunately, but I'm home now and hoping for a peaceful and happy remainder of the summer. We have a couple trips we're planning so hopefully that will help. I didn't get any reviewing done last week, but I did put up an interview with Leonard D. Hilley, II, author of Predators of Darkness: Aftermath. You would think I would get a lot of reading done on the flights I took, but I've discovered some issues with reading on a Nook and taking short flights. You don't get much time to actually read since you have to keep it off for so much of the flight! I did finish reading Murder in the 11th House by Mitchell Scott Lewis. And I finished A New Prospect by Wayne Zurl. I'll be reviewing A New Prospect tomorrow, and posting an interview with the author on Wednesday. I'll put together my review of Murder in the 11th House later in the week. I'm now reading Listen by Rene Gutteridge. I'm also still reading Sabbath: Finding Rest, Renewal, and Delight in Our Busy Lives by Wayne Muller for my book club. I had put it aside but hope to finish it this week. 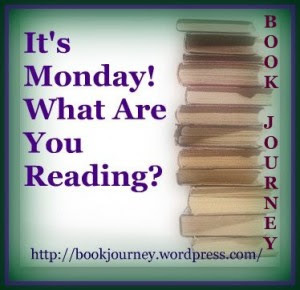 Next, I'm going to read The Keeper of Lost Causes by Jussi Adler-Olsen. It will be my final NetGalley book for NetGalley Month. I read listen over the winter and I really liked it. I need to read more by this author. I have the Kindle and always take a book just for on the plane now because it is amazing, 20 mins before take off and landing there is no reading, quite a lot of time. Ah, another reason why I like real books, though I didn't know this about e-readers on airplanes prior to reading this post. I'm interested in your review of Murder in the 11th House, so I'll be on the watch for it. Good thing I am a follower. I'm so very sorry to hear about your father-in-law. We lost my mother-in-law last year; I know what a difficult time this can be for a family. Was this unexpected? I know just what you mean about e-books on flights. Though I don't have an e-reader yet, I saw a lot of them on our flights to/from CA in June, and I was thinking the same thing - glad I had my old-fashioned paper book along and could read non-stop! Hope things return to normal for you now - enjoy your books this week!